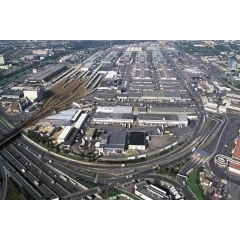 Located 7 km from Paris near Orly Airport, RUNGIS wholesale market officially opened its doors in 1969. 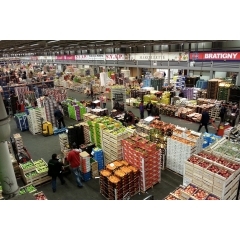 Today it is the largest fresh food market in the world! 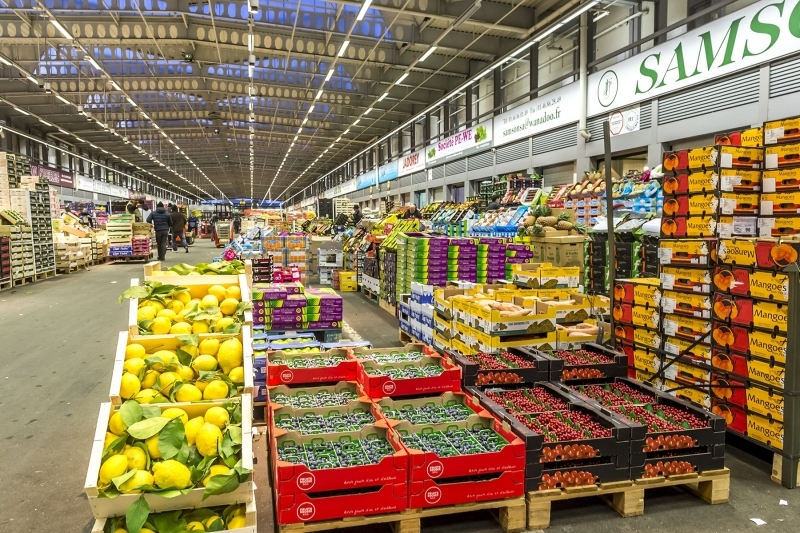 Charged with upholding the traditions of French gastronomy and feeding the capital, Rungis Market is home to some of the most skilled workers in France. During this exclusive night tour of Rungis, Carole Metayer presents its operations and fabulous history dating back more than 8 centuries! 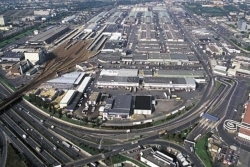 You will stride along the paths of the market and its halls, which stretch over 234 hectares. 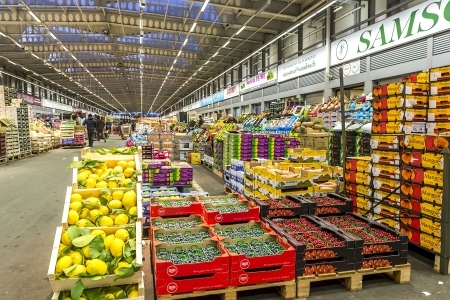 You will also visit the main halls presented during the “classic tour” of Rungis Market - surrounded by towering displays of fresh fish, traditional butchery, fruits & vegetables, dairy products and flowers. 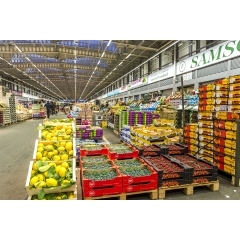 - Behind the Scenes at Rungis: in the fruits and vegetables halls, you will be invited into the "carreau des producteurs", normally reserved for Parisian farmers. You may choose to attend, the carving of a veal head Tête de veau in the tripe pavilion, a fish filleting workshop or visit a cheese cellar, among other options.You will also discover the logistics of the market, its rail station where 2 full trains of provisions arrive every night, the system for treating rubbish and recycling, the incineration plant and many more secrets. 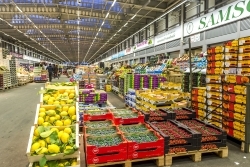 - Tour catering and delicatessen wholesalers: for those who love gourmet products, the latest development in the market's infrastructure will be of interest. 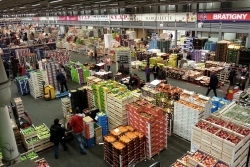 Nicknamed “Gastronomy Avenue” or “the Champs Elysées of Rungis”, the hall is filled with wholesalers specialized in gourmet deli products and professional equipment. 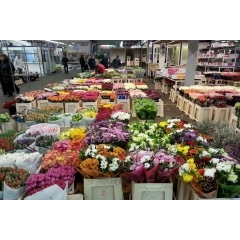 - The "Rungissois breakfast": we will conclude this private tour of Rungis Market with a gourmet breakfast in one of the market's exceptional restaurants. - A custom tour: the content of this tour can be modified to better suit your professional interests or personal preferences. - Comprehensive service: Transportation, along with any other requests, will be the responsibility of La Route des Gourmets during your entire visit. Additionally, our guide is able to respond to the needs of both French and international guests, being perfectly trilingual in French/Spanish/English and trained in International Business as well as Food Geography. 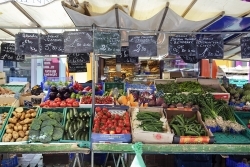 - An exclusive price for the visit: As a Destination Management Company dedicated exclusively to Food and Wine Tours that highlight French Cuisine, La Route des Gourmets works directly with professionals at Rungis, allowing us to offer you a special price for this all inclusive tour package in Rungis. Gourmet breakfast, composed of French pastries, platters of cheese and charcuterie, bread, butter, jams, seasonal fruits and various drinks (orange juice, hot chocolate, tea, and coffee). 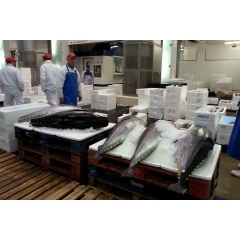 Due to high demand, the quantity of visitors for this period is extremely limited, as the Rungis market imposes a quota of visitors per day. 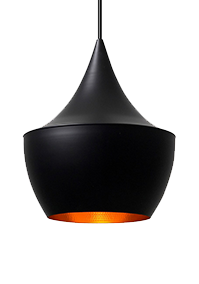 We will only study request by mail infos@laroutedesgourmets.fr . Please give us all details with the number of participants and different dates possibles. 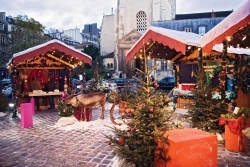 For information, as every year, the market forbid entrance of visitors from Friday 14th of December, to beginning of January. Time schedule: night Tour, Meeting at 4:00 am in Paris. Minimum number of guests: 15 participants ( (small groups are welcome but will be charged a minimum flat rate equal to the price of 15 guests). 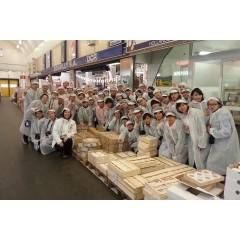 Guided tours are suitable for: individuals (no children under 12 years old), associations or small groups, students, companies outings and professional from the Food sector for professional visit. 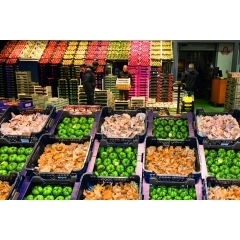 Recommendations: Wear comfortable shoes for walking and warm clothes for refrigerated zones of the market. Group rates: Upon request for groups of 26 or more. 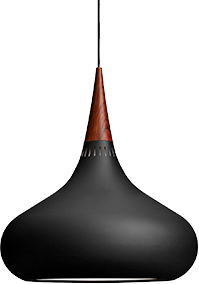 Confirmation of order: Orders are considered confirmed upon reception of payment. Cancellation policy: Cancelation 30 days prior to the booking date: full refund of your deposit (minus bank fees); cancelation between 10 days and 29 days prior to the booking date: 50% refund of your deposit (minus bank fees); cancelation less than 10 days prior to the due date: no refund. La Route des Gourmets reserves the right to postpone or cancel any service if one of its partners postpones the service. In this case, payment will be fully refunded. Unforeseeable circumstances:La Route des Gourmets can be cleared of its obligations or can suspend their execution if the company finds itself unable to fulfill its responsibilities due to circumstances outside of their control such as bad weather, workers’ strike, transportation or traffic obstruction, and disasters affecting the facilities of La Route des Gourmets and its partners.